We can help you with Recklessly Endangering Another Person ("REAP") charges. We are award-winning criminal defense lawyers who have represented hundreds, if not thousands, of clients who were facing criminal charges like REAP and Simple Assault, and we have obtained successfully results for countless clients. We are experienced and understanding defense attorneys who will use our skill and experience to fight for the best possible result for you. If you are under investigation or facing criminal charges of any kind, call 267-225-2545 for a free criminal defense strategy session. What is Recklessly Endangering Another Person? Recklessly Endangering Another Person is a misdemeanor charge which is commonly charged along with other assault charges like Simple Assault or Aggravated Assault. Under Pennsylvania law, Recklessly Endangering Another Person occurs when a person "recklessly engages in conduct which places or may place another person in danger of death or serious bodily injury." Recklessly Endangering Another Person does not require that the complainant actually suffer serious bodily injury or death. Instead, it requires only that the defendant created a risk that the complainant would suffer serious bodily injury or death and that the defendant created such a risk recklessly. Recklessness is a common mental state ("mens rea") in criminal law. It applies when a person acts with a conscious disregard of a substantial known risk. It differs from knowingly or intentionally in that the defendant may not have intended the outcome, but the defendant knew that the outcome was a potential result of his or her conduct and unreasonably disregarded the substantial risk that serious bodily injury or death could occur. What is the Penalty for Recklessly Endangering Another Person? Recklessly Endangering Another Person is a misdemeanor of the second degree. In Pennsylvania, misdemeanors of the second degree are punishable by up to two years in prison as well as a $2,000 fine. There is no mandatory minimum for a REAP conviction, so it is difficult to predict what type of sentence any given defendant would actually receive upon conviction without knowing the facts of the case and the defendant's background. However, if the defendant is only facing REAP charges and the case is in Philadelphia, then the case would be heard in the Municipal Court. It is very common for a defendant who is convicted in the Municipal Court to receive a probationary sentence. However, a Municipal Court judge may impose a jail sentence, and the defendant could also be sentenced to jail for violating probation if a violation of probation occurs after conviction and sentencing. Finally, if the defendant is convicted of REAP but acquitted of other charges in the Court of Common Pleas, it is also possible to receive a jail sentence. Because a jail sentence is always a possibility, REAP charges should be taken seriously. Criminal Defense Attorney Demetra Mehta, Esq. Sufficiency of the Evidence. The Commonwealth must prove that the defendant committed the crime beyond a reasonable doubt. This means showing that the defendant recklessly created a risk of serious bodily injury or death. REAP is often charged where the defendant engaged in a mutual fight with another person and the other person did not suffer serious bodily injury. If the Commonwealth can show only that a few punches were exchanged between the parties, then our criminal lawyers may be able to argue that there was no risk of serious bodily injury or death, and a judge or jury could find that the evidence insufficient to sustain a conviction for Recklessly Endangering Another Person. Self-Defense. Self-defense and justification are always an absolute defense to any type of assault charge. If we can prove that you acted in self-defense, then you would not be guilty of any form of assault or Recklessly Endangering Another Person. Credibility. Credibility is often an issue in criminal trials. We pride ourselves on thoroughly investigating each case as soon as we are retained. If we can find defense witnesses or surveillance footage that would show that the complainant is not telling the truth, then that evidence could be helpful in defending against REAP or assault charges. We will also use our skills in cross examination to expose any inconsistencies or things that do not make sense in the complainant's testimony and which could show that the complainant is fabricating his or her story. Each case is different, and the defenses available to you will likely vary depending on the unique facts of your case. If you are facing charges for Recklessly Endangering Another Person or any of the related assault charges, our criminal lawyers can help. 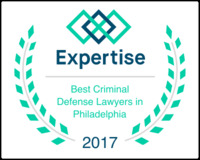 we have successfully defended hundreds, if not thousands, of clients against these types of charges in Philadelphia and the surrounding counties. If you are facing criminal charges, it is always extremely important that you act quickly. Delay in investigating the case will almost never help the defendant; witnesses will be lost, video could be destroyed, and the 911 tapes will be deleted. If you are facing charges, call 267-225-2545 for a free criminal defense strategy session. Thank you. One of our attorneys will contact you shortly.